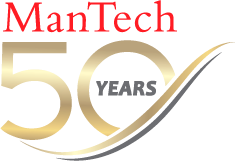 ManTech was founded in 1968 to provide advanced technological services to the U.S. Government. We began with a single Navy contract to develop war-gaming models for the submarine community. Over the years, our government's technology needs have increased dramatically in scope and sophistication, and we have grown to meet that challenge. For 5 decades, we kept a careful eye on where emerging technologies were taking the government, and we developed the resources to master those technologies—by staying close to our customers and anticipating their needs, hiring nearly 8,000 talented professionals to propel us into the future, and acquiring companies with proven capabilities. Today, we are a multibillion-dollar public company that provides the innovation, adaptability and critical thinking our government needs for success in defense, intelligence, law enforcement, science, administration, health and other fields—throughout the nation and in many countries around the world. We are now applying the lessons learned in the unforgiving arena of national security to help the private sector protect networks and critical information. George J. Pedersen surveys the disaster area of the World Trade Center after the Sept. 11, 2001, terrorist attacks.